Fisrt there were two parks : Le Grand Parc and le Petit Parc. 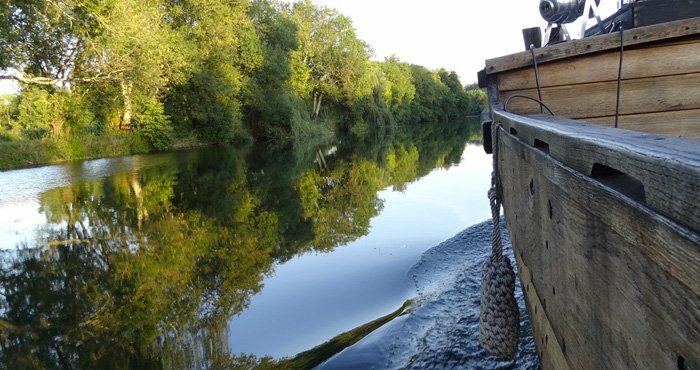 Le Grand Parc on the right bank of the river Charente was a place especially for hunting which stretched out as far as Saint Jacques to Boutiers Saint Trojan and Cherves Richemont on a 500-hectares area. The current park was called Petit Parc. It was part of the Château des Valois and and was much appreciated by Cognac inhabitants to go for a walk. The park was bought by the town of Cognac in 1819. The site was listed in 1943. After 1999-storm, the park lost two-third of its trees. After a feeling of deep despondency considering the disaster, the decision to clear broken and uprooted trees was taken. In spite of the tediously aspect of the job, the choice of preserving shoots and big intact trees, was made. The goal was to recreate the forest with natural seedlings which already existed.